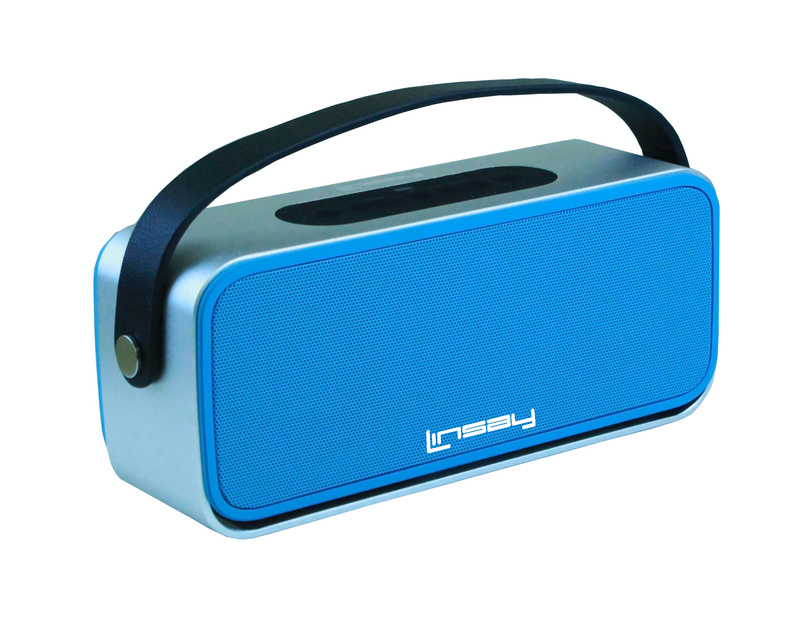 Meet the new LINSAY SLH-100B High End Bluetooth Speaker Blue! 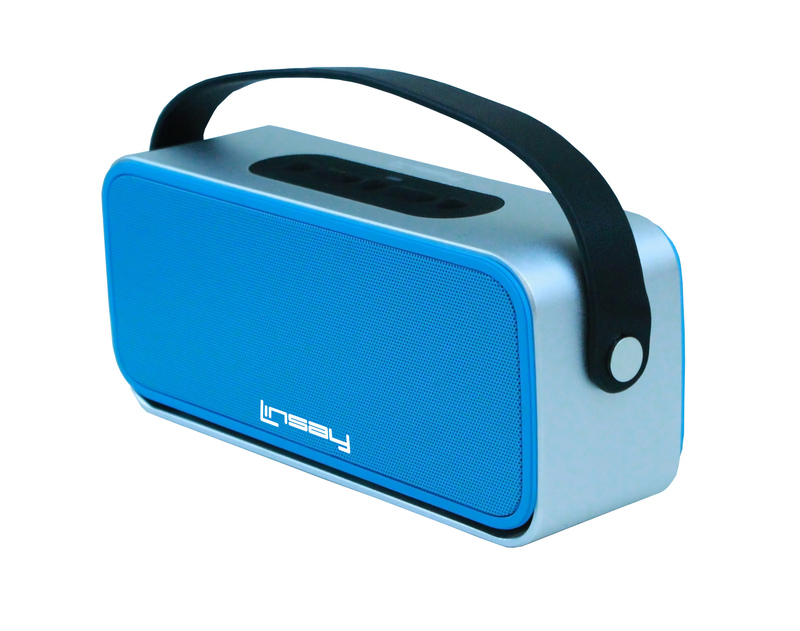 The SLH-100B High End Bluetooth Stereo Speaker Blue system allows you to play all music as long as they are supported by other bluetooth device or your smartphone. It comes with a hands free function that allows you to answer or decline incoming calls thanks to the built in microphone. You can also connect the SLH-100B to other audio device or mobile phone which does not support bluetooth transmission as long as you have an audio cable with 3.5mm connectors as both ends. 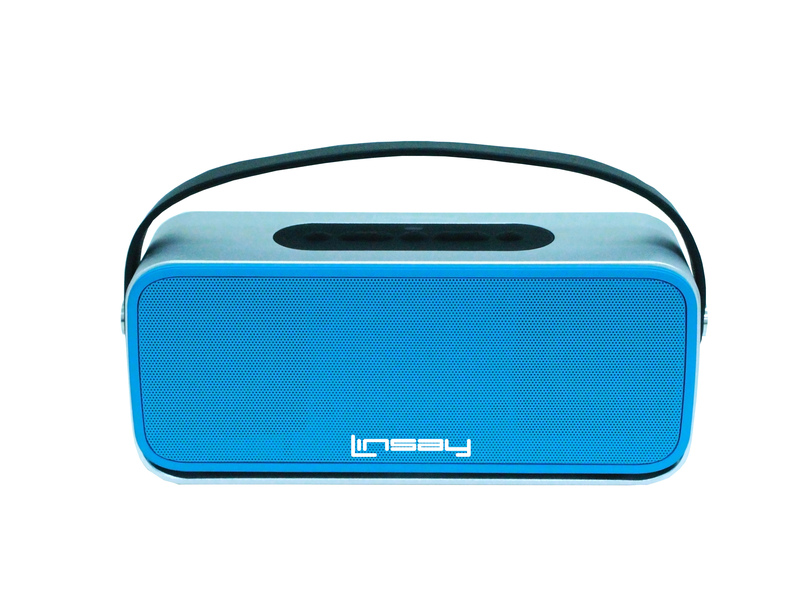 The New LINSAY High End Bluetooth Speaker Blue SLH-100B comes with a built-in rechargeable 2600mah lithium battery which allows you up to 7 hours of music streaming with Bluetooth mode. • High End Mobile Bluetooth Stereo Speakers system with Hands Free function. • Built-in rechargeable 2600mah battery with up to 7 hours of playing with Bluetooth mode on. • Included: User Manual, USB Cable, Line in Cable.